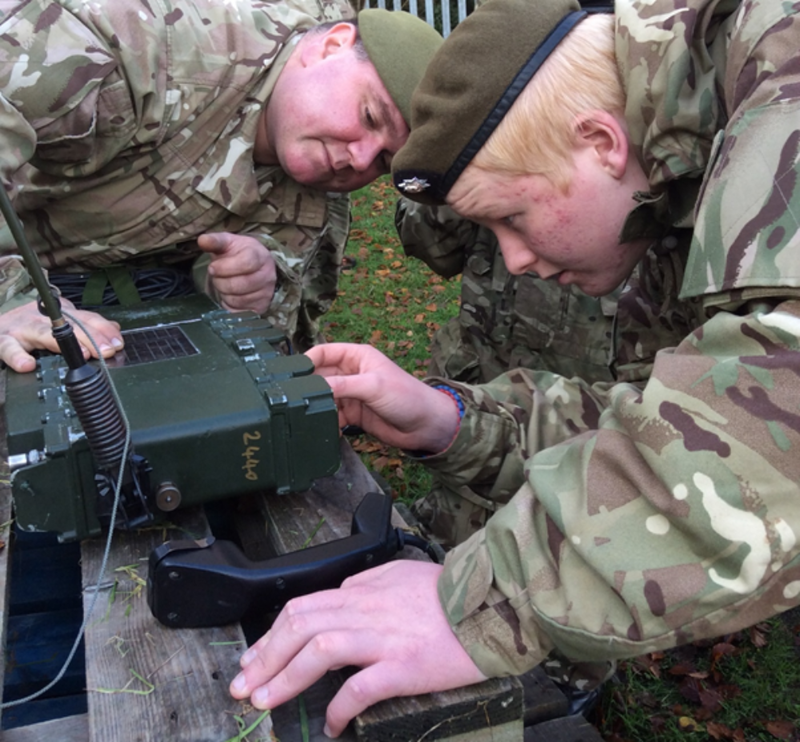 During the weekend of 29 - 30 November 2014 cadets from around the country, took part in a joint communications exercise called Exercise CHRISTMAS CRACKER. 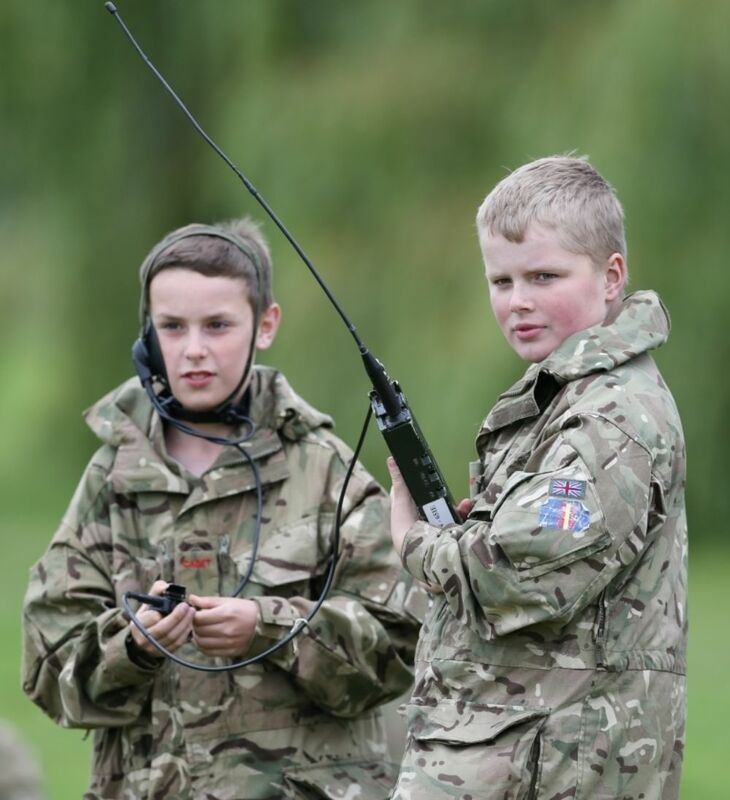 Tri-Service cadets took part in the annual exercise which involves radio stations using their High Frequency (HF) radios to talk to each other directly, across the whole of the UK. 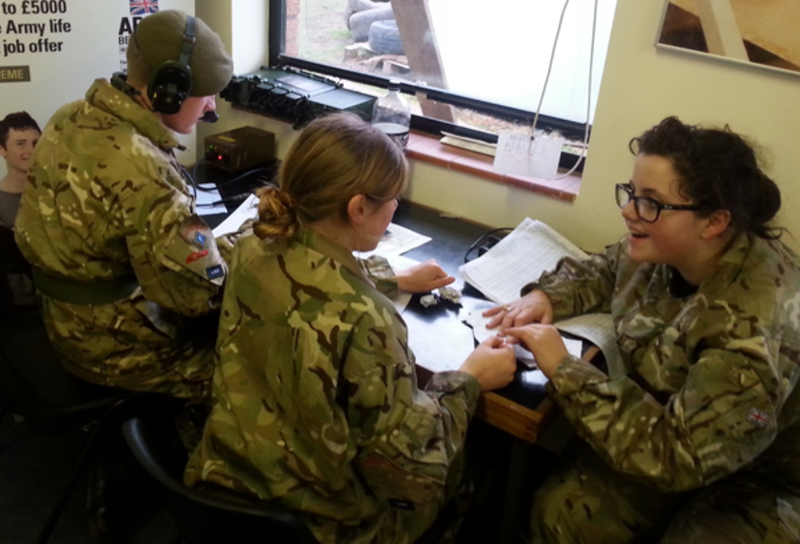 HF radio skills are taught to senior cadets on the Cadet Advanced Communicator Course at Blandford, these cadets then go on to lead their team of cadet signallers who have taken part in the Army Proficiency Certificate (APC) progressive signals training in their unit. The aim of the exercise is for cadets to practice their voice procedure and give them confidence in using radios in live links with other cadets. Additionally the cadets leading each station need to know about setting up their radio and putting up antennas. To help them achieve this they are assisted by adult volunteers who have many years of knowledge and experience in signalling. This year the exercise was developed to include stations overseas in Germany, Afghanistan and the United States via the United States Military Auxiliary Radio System (MARS). MARS is a US Department of Defense sponsored program consisting of licensed amateur radio operators who are interested in military communications on a local, national, and international basis. MARS has a long and proud history of providing world-wide auxiliary emergency communications during times of need. At 0900 on the morning of Saturday 29 November the first cadet stations called each other and new contacts were made. The nets were soon very busy with many stations calling and listening and it was soon obvious that slick voice procedure was needed to keep things moving smoothly. The first contact with a MARS station was made just before 0915 and soon many of the cadet stations had their first experience of international radio communications. The exercise continued throughout the day and on into the evening with some cadet stations continuing throughout the night. All cadet stations had to exchange a message and maintain a log of their communications. These logs were then sent to the Exercise Director for marking and points were awarded for the links made, with the more difficult links, such as those to the USA attracting more points. "The enthusiasm to do well was shown by the results and it was the hard work of the cadets and adult volunteers at Hampshire & Isle of Wight ACF that resulted in them being the clear winners. "Feedback from the cadets and volunteers was exceptional. It was wonderful to see the look on a young cadet’s face when he exchanged a message with a station speaking with an American voice." The MARS Station operators were as equally impressed and the cadet Signals team are looking forward to future international communications exercises with them in 2015. "The exercise was well designed and the cadets showed a totally professional attitude to their communications."